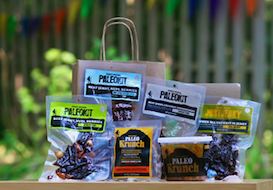 Steve's Original Paleo Kits Sampler Pack! 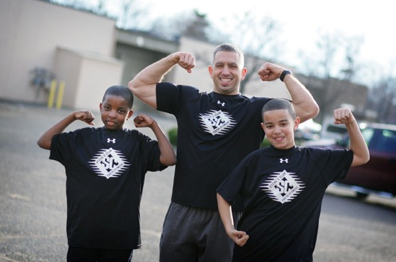 Steve’s Club provides athletic training and mentorship to at-risk youth. It opens doors, changes lives, and creates mentally strong, goal-oriented youth. Steve’s Original products were created to support the mission of Steve’s Club (and now Steve’s Club National Program). A brief history of Steve’s Club and the Paleo Kit can be found HERE. 1) If you haven’t already, “Like” Jen's Gone Paleo and Paleo Kits on Facebook. 2) “Share” this post to your own profile FROM FACEBOOK by clicking “share.” Let’s tell as many people as possible about the mission of Steve’s Club. The winner will be chosen at random from those who’ve shared. *Giveaway outline courtesy of Cave Girl Eats. Liked all and shared. Thanks for the giveaway! Love those Paleo packs!